Without a battery, a car just cannot start. An automatic car, a mechanic friend told me, cannot start if its battery is weak. So all auto car owners, make sure your battery is in good condition. Bosch, National, Yokohama and G.P, these are brands of famous batteries in the market today. Batteries are quite costly items of a car these days. An ordinary car battery, which needs to be filled with battery water is around RM130 – RM140. You can however sell back the old battery to the battery shop man for RM10. The old battery can be re-conditioned to make a new battery by some factories. However, there is yet another type of battery which is known as waterless battery. Such a battery need not be filled with water. It is thus service free. This type of battery is good for people who are busy and have no time to meddle with batteries. In short, they are suitable for people who are in fact lazy. For those batteries that need to be filled with liquid or solutions, some readers asked me what are suitable to be used for filling up batteries? Well, you can use battery water. Battery water is cheap and can be purchased at spare parts shops in town. A bottle cost only RM1.50 to RM2. It can last several months. You can also use sulfuric acid. As regards to waterless batteries, you actually need not to do anything. But remember though, this type of battery costs more. Such battery costs anything from RM160 to RM170 per piece. New batteries are guaranteed for one year. Upon purchase of a new battery, the shop keeper will supply you with a guarantee form or card. Keep this card well. If anything should happen to your new battery within a year, you can make a claim to the company. Can any other form of solution other than mentioned earlier be used in batteries? The answer to the above question is Yes. You could use rain water. Rain water that fall directly from the sky would be most ideal. Water collected from roofs will tend to be less pure. Rain water from roofs, fall into gutters which are made of iron or zinc. Such metal materials are bad for battery. They are said to destroy parts of battery. Batteries have 2 poles, red is positive while the black pole is negative. The red pole is connected to the dynamo in older cars. In new cars, it is connected to the alternator. The alternator or dynamo is responsible for charging of the battery. At times, poles of the battery become covered with oxide which is white in colour. These white coloured powder form substance can be easily be got rid by hot or warm water being thrown onto these poles. Or you could put some grease on them. That would immediately solve your problem. At times, a new battery can sometimes become weak. Send your battery to the battery shop for it to be charged. To charge the battery, which takes anything from 2 to 5 hours need some RM5. 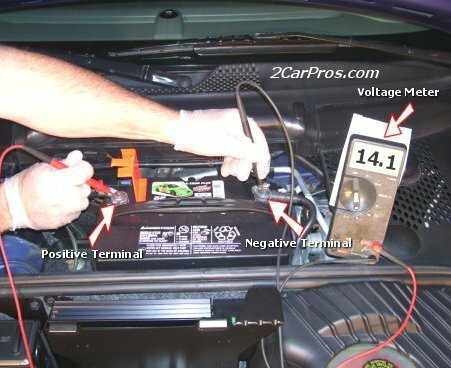 When attempting to replace the battery in your car, make sure the poles are attached properly. If you are uncertain or not sure, get a mechanic’s help. Fixing a battery wrongly can cause short circuit to your car. After fixing a new car battery to your car, you are ideally advised to send your car to the battery shop, where the mechanic can carry out tests to determine if enough charge is being supplied to your new battery. When a driver forgets to switch the main lights off or when he forgets to close the booth door tight enough or even of he forgets to switch of his radio, this will drain the battery after a few hours. The results it, you car battery becomes void of power or weak. As a result, normally the alarm system of your vehicle becomes weak and the alarm system then will sound or wail loudly. This is clear indication that there something wrong with your battery system. Seek a battery mechanic’s assistance as soon as possible. Should you wish to jump start a vehicle, make sure you possess a pair of jump cables. Jump cables are easily available for RM40 – RM60 at supermarkets or spare parts shops around. Leaning to use jump cable will be a boon to all drivers. If you should have no jump cables around to assist you to start your car with a weak battery, the other alternative is to push start your car. But please remember, push starting your vehicle can turn out to be extremely dangerous. Do not do it if you are not experienced enough. Just recently, a few youths in Kelantan were attempting to push start their car, and they landed up pushing the car into a supermarket wall, down an escalator, thereby killing a customer who was at the time doing her shopping chores in the supermarket. It is hoped that this short but important article has given readers who do not know much about batteries some valuable advice and thus help to avoid some uncalled for mishap from taking place. Finally, take care of your car battery and you can rest assured it will provide good service and prevent your vehicle from breaking down. As I have inadvertently forgotten to tell readers that batteries in the market today come in 9 plates or 13 plates. The choice is yours as to which size you may wish to obtain when the need arises to purchase a new battery. If you do not know anything about this subject, it’s best you ask your battery shop of advice.